Fresh ingredients, nice food, but only vietnamese menu. 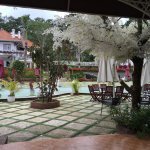 Been to Da Lat Four Seasons? Share your experiences!